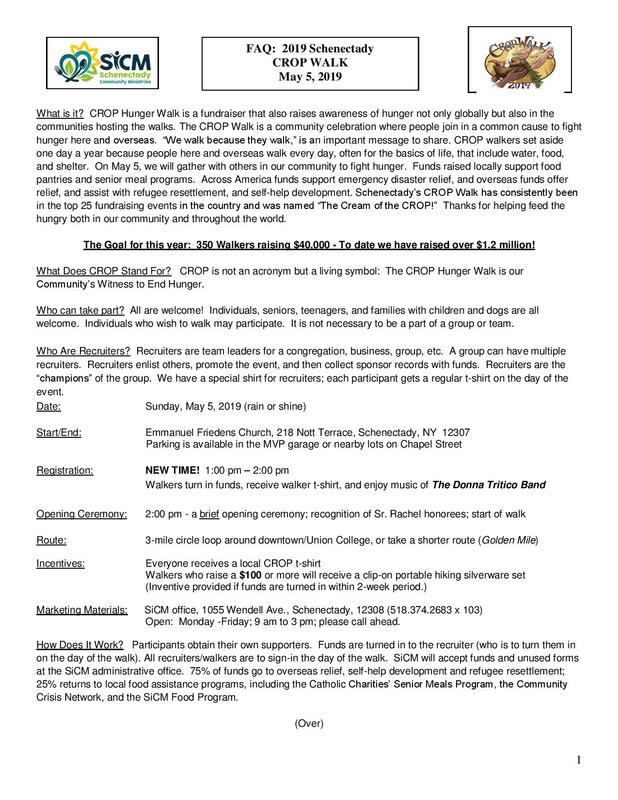 For all information regarding this year’s Schenectady CROP Hunger Walk, click here! Save the Date – Rain or Shine! 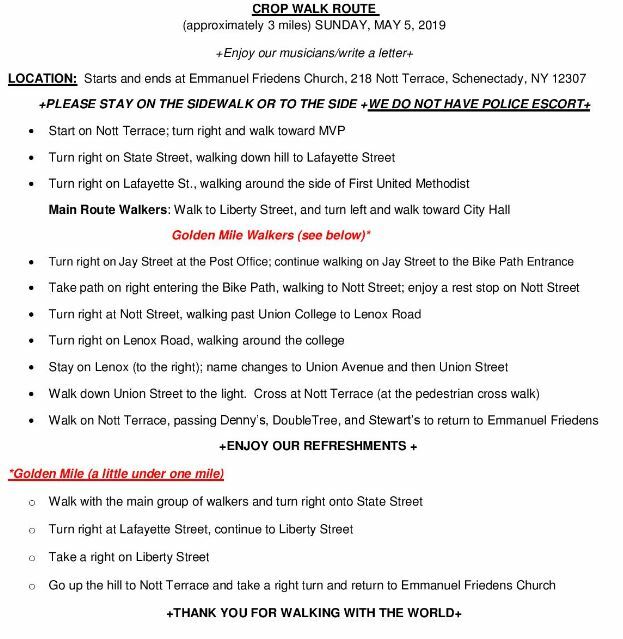 Schenectady CROP Walk is heading our way on Sunday, May 5th. New Band! The Donna Tritico Band to Host the CROP Walk! Thank You to our Honorary Committee Members and Sponsors who Make our Events a Success!